I discovered yoga in 1990 while taking a World Religions course in Saint Louis, Missouri. When the curriculum ventured into eastern theology, my professor introduced the topic with a yoga class. The experience was so profound, I immediately sought out more yoga and found Big Bend Yoga and my formative teachers: Chris Yonker, Kitty Daily, and Lynne McGee. I developed the foundation for my practice by studying with Rodney Yee, Erich Schiffmann, Shiva Rae, and Judith Lasater and was inspired to become a teacher myself. ​I became a certified yoga teacher in 2002 with Erich Schiffmann through the Santa Barbara Yoga Center, California. In 2005 I studied Kriya Yoga under Pricilla Potter, Swami Maha-tarananda, at Yoga Connection in Tucson, Arizona. where I received my RYT 200. From 2004-2011 I owned Monsoon Face And Body, Bisbee AZ, a salon/yoga studio where I merged beauty, the healing arts, and yoga exploring mental and physical transformation for self-healing and better health. 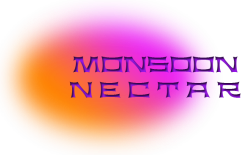 I developed my signature chakra aroma skin care line, Monsoon Nectar, and incorporated the organic skincare and aromatherapy into all facets of my work. Travels to Thailand, Malaysia, and Hong Kong between 2010-2012 enriched my East Meets West approach to spirituality, teaching, and lifestyle. Aside from weekly classes, I present energy healing workshops, retreats, and private sessions harnessing the vibration of aroma, sound, and yoga to explore the chakra system. My practice emphasizes The Oneness that all lineages lead to and I am grateful to all of my teachers and students. ​Taking care of our bodies with essential oils fuels my mantra Get In Touch With Your Skin! ~ the largest organ of our bodies and our immune system. I believe in feeling better through the tried and true benefits of good health and a green lifestyle. Yoga supports supports balance and freedom in our mental, physical, and spiritual being. The fusion of all of this, I call Bath Culture, because feeling good is being happy~ and what a wonderful world it could be!